Richard Green Gallery would like to celebrate the work of the great British artist Peter Lanyon (St. Ives 1918 – 1964 Taunton). The two important works that will be holding pride of place in the galleries’ collection this weekend, ‘North East’ (1963) and ‘Dry Wind’ (1958), not only illuminate our celebration of the artist but are indictive of the integral part Lanyan played in the shaping of the St Ives school. As ‘North East’ captures the artist’s intensely personal yet cartographic expression of the west Cornish landscape, his native homeland, ‘Dry Wind’ shows the artist’s exploration of new and exciting territories, the landscapes of Italy, that possessed a warmer and rougher climate for him to depict. 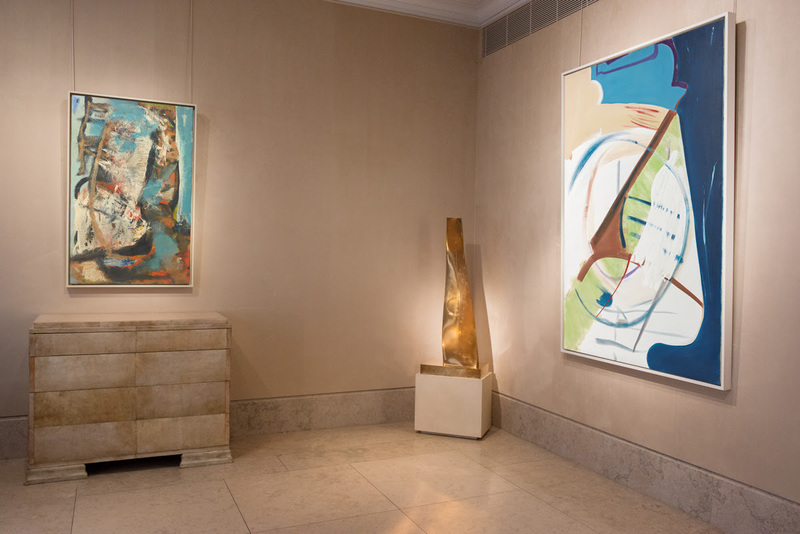 Both works are beautiful, bold and self-assured statements of Lanyon’s confidence as a painter.